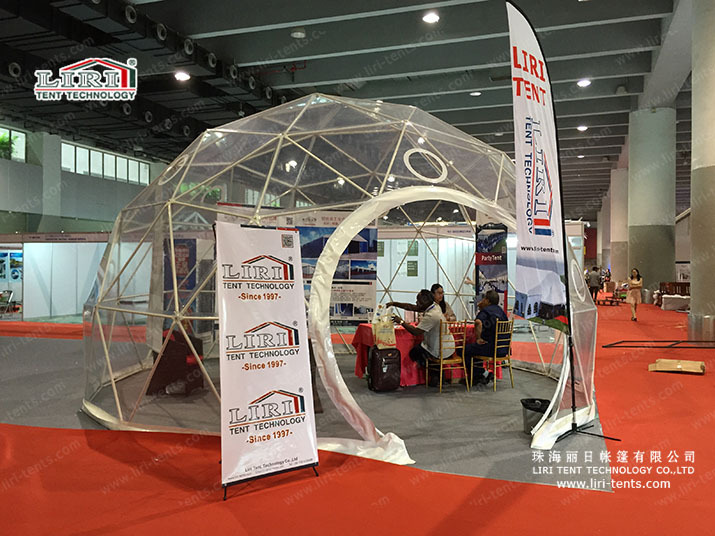 How to make your booth more special and attract more clients to come to your booth in the trade fair, a half sphere tent will help you a lot. 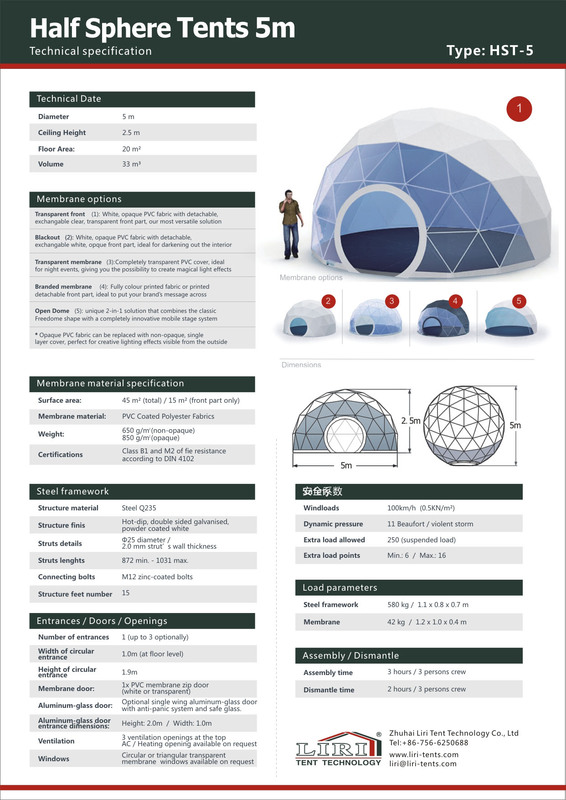 Half sphere tent is also called geodestic dome tent, famous for “the most spacious, lightest, most effective design”, which is a rigid and stable structure. Half sphere tent can fix with different pvc material and also for the accessories, like the glass door, flooring system, and so on. Based on your own design to use the transparent pvc, block out pvc, half block out, half transparent and some other designs. It is very flexible and a good design.